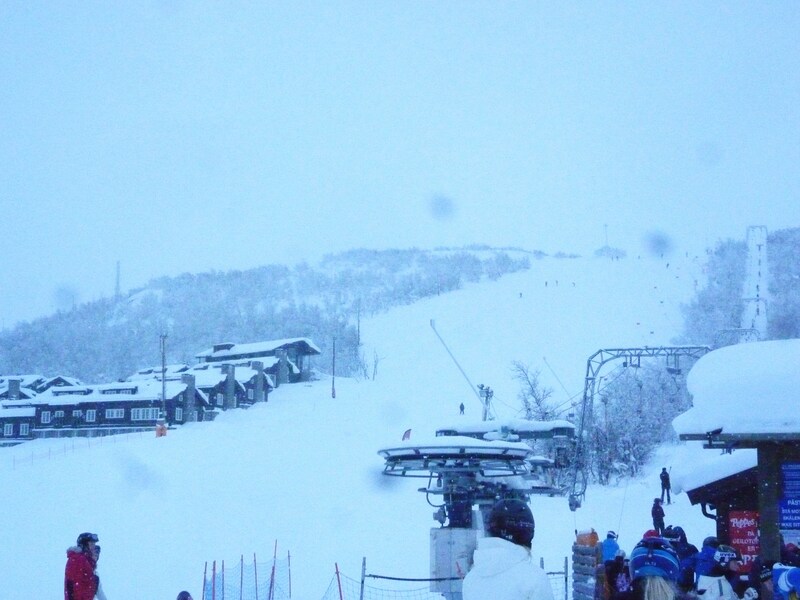 On our final full day in Geilo it was snowing. I woke up feeling tired and ill, but not ill enough to forego a last day of skiing, and so, after the usual morning delays we drove to the slopes. 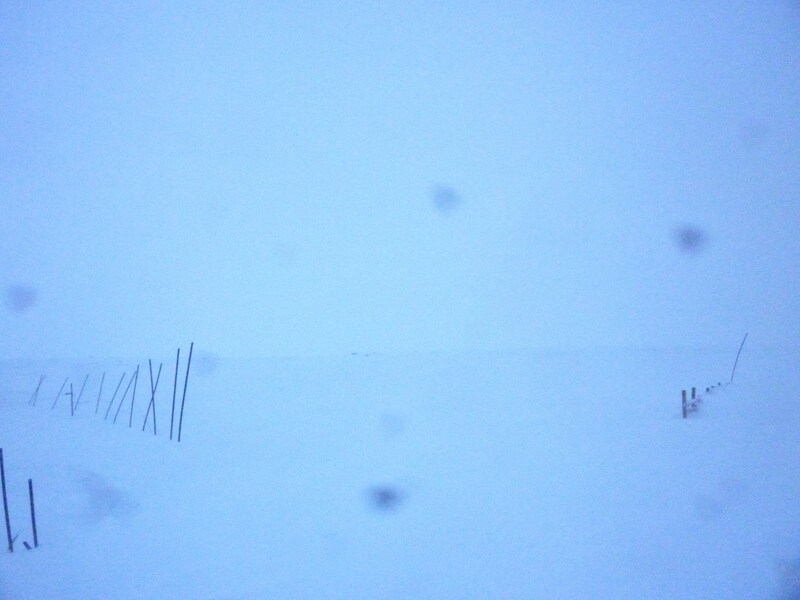 As we arrived the world was blurred by the falling snow and there was no sight of the glorious sun of the day before. 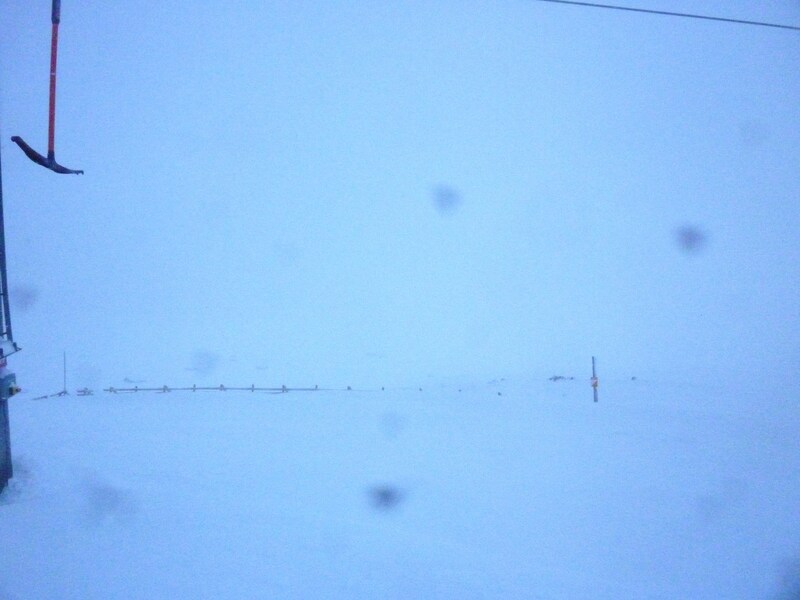 We took a button lift to the top of an easy slope, but as we arrived at the top the Norwegian ski resort had turned into a desolate arctic landscape. The snow fall made the world disappear and we were surrounded by whiteness. Meanwhile the wind threw sharp snow into our faces. 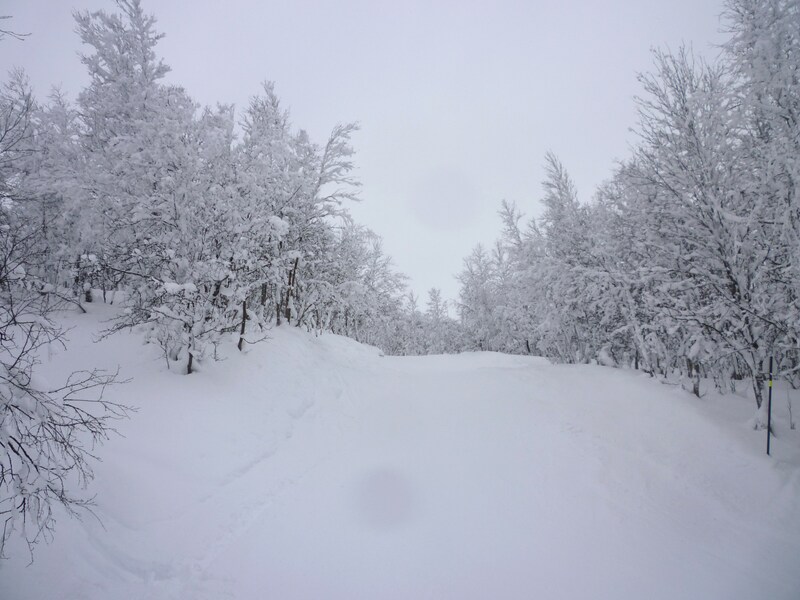 I tried to follow the others as we made our way to the slope, but lost sight of the track and ended up in deep snow and struggling to follow. When I finally made it to the edge of the slope I did not make any effort to slalom, I just skied straight down, wanting to get back into the relative calm of the valley as soon as possible. We did a few more slopes but it did not take long before I felt like a break. To my surprise I was not the only one, and both Erik and Giuseppe joined me in the café. As we entered a roar went up from a large crowd staring at the TV at the end of the café. Apparently a Norwegian had just made good time in the World Cup of Alpine skiing. In Brussels that level of excitement is usually reserved for football. I had felt too ill to eat any breakfast that morning so I bought a hot dog and a cup of tea, and then we sat down to watch the World Cup. None of us was feeling very tempted by the slopes outside, preferring to watch the action on the screen rather than take part ourselves. Quite a while passed before Olga and Carlos joined us, full of excitement about a new slope they had discovered. As they got themselves something to eat I joined them and bought another hot dog and a waffle. After these reinforcements and inspired by Olga’s excitement I ventured out again. The slope Olga and Carlos were excited about was lovely. It was a red slope, but not a steep one at all, but rather a narrow slope, almost a road through the woods. It was both beautiful and nice to ski on, although I did have my first and only fall on that slope. Somehow I ended up falling in the deep snow at the edges of the slope and as I tried to get up I slid across to the other side of the slope in a sitting position, right into more deep snow. By this time I was laughing and unable to right myself before Carlos stretched out his hand to me and pulled me up. Too soon the day was over and it was time to head back to the cabin. 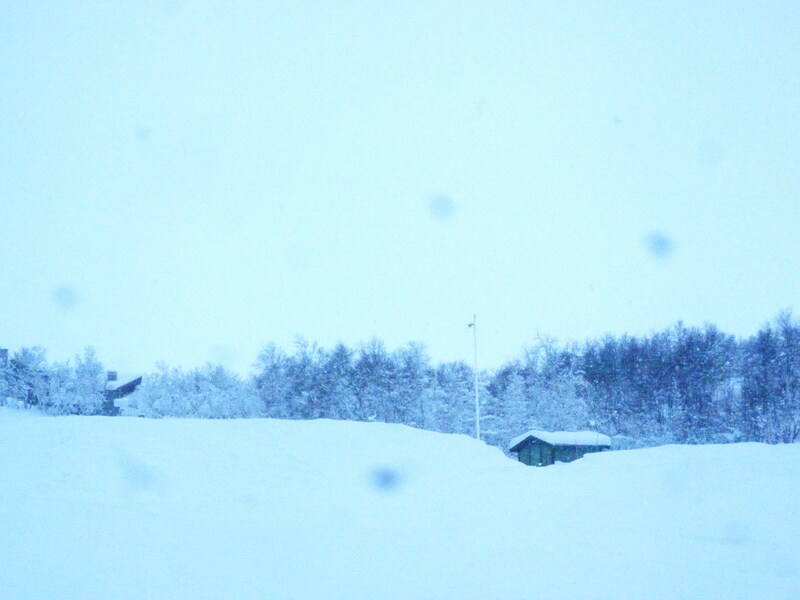 We did a brief stop at an after-ski and while Erik and Giuseppe stayed behind, me, Carlos and Olga went to get some more reindeer meat for another barbecue. We all agreed that the five of us in front of “The German” was a better prospect than staying at the after-ski, so soon we were back at the cabin again. While they were gone Olga and Giuseppe made some efforts to light the fire in the fireplace and “The German”. “The German” turned out to be difficult. As time passed we were starting to wonder what was going on with Erik and Carlos. They should have been back by now. Olga and I were giving the inside fire some attention when Carlos burst through the door, saying that they had crashed the car. Luckily the car was not far away, but without jackets they were both freezing. Carlos and Giuseppe got jackets and ran back to the car while us girls stayed behind. At that time I did not know the details of the crash, but this is what I learned later. 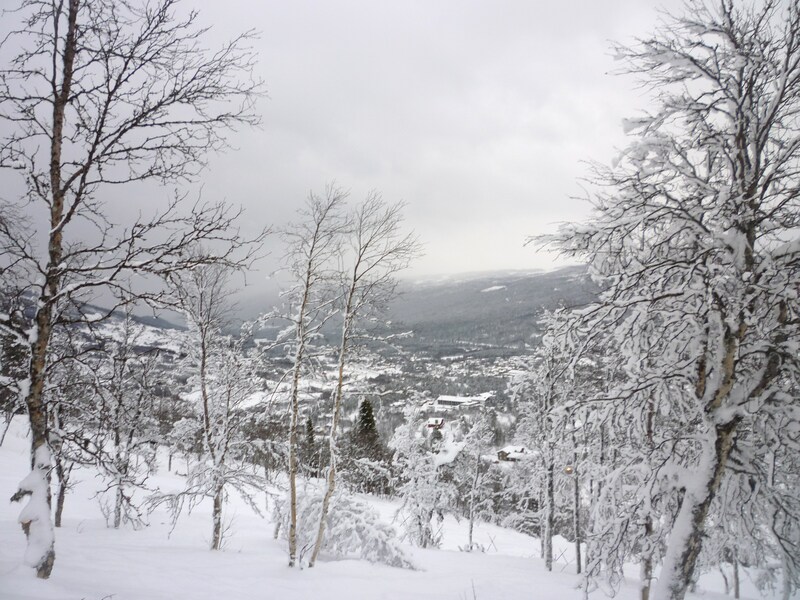 The nearest supermarket was closed so Erik and Carlos drove to Geilo centre, a 20 minute drive away. 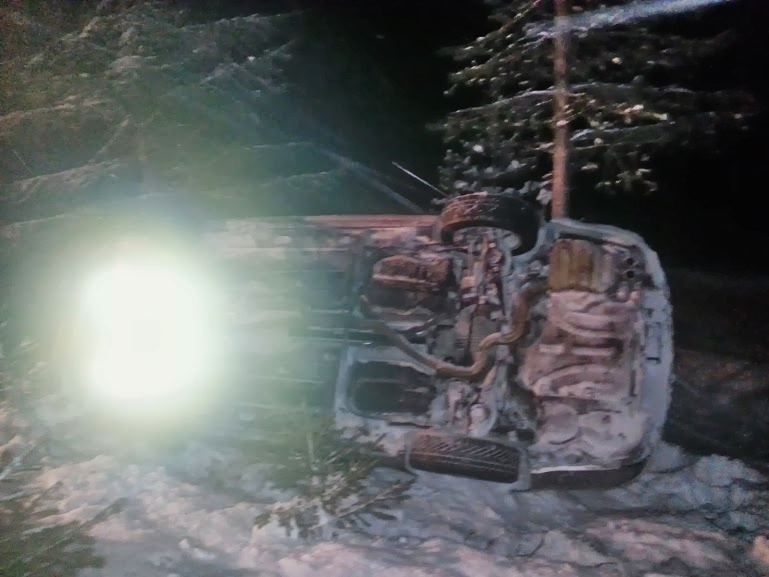 They got what they needed and were almost at back at the cabin when they hesitated just a second too long in a turn, and drove into the trees. The car was going slowly and hit a tree with a gentle thump. The tree was not the problem, the snow was. There was too much snow on one side of the car and so in horrible slow motion the car began tipping. Erik and Carlos looked at each other and swore repeatedly in unison as the car turned very slowly onto its side, and continued turning until the roof hit a tree. Erik and Carlos climbed out of the door on the driver’s side, and were standing in the icy night with no jackets. Luckily Norwegian’s are hospitable people and around the same time that Carlos and Giuseppe returned, two women invited them into their nearby cabin. After a while they were drinking wine and chatting while they waited for the tow-truck to arrive. Giuseppe even tried the Swedish and Norwegian speciality snus, which he quite understandably has no intention of ever trying again. There is one thing that remains unclear to this day, namely the age of the women. While Giuseppe insists that they were in their 30’s or 40’s Erik and Carlos called them elderly ladies, and believe them to be in their 50’s or 60’s. (Whether that age merits the term elderly these days is another matter). While the guys were sipping wine, Olga and I were waiting. I took a shower and afterwards Olga brushed my hair while we talked about relationships. We cut some vegetables for the now uncertain barbecue. We tried to stop the fires from dying but in the end it got late and we gave up. Finally, when the time had passed 23.30 we decided to cook something for ourselves and began frying some vegetables in the pan. This is when the men returned, and together Olga and Carlos created a rather delicious meal of vegetables, reindeer steak and sausages. And so finally we sat down together and enjoyed our final meal in Geilo, at the end of a very long day.